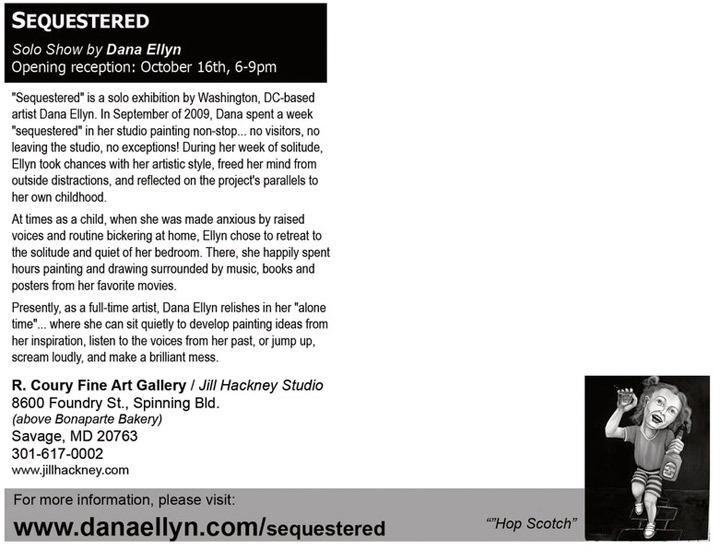 "Sequestered" is a solo exhibition by Washington, DC-based artist Dana Ellyn. 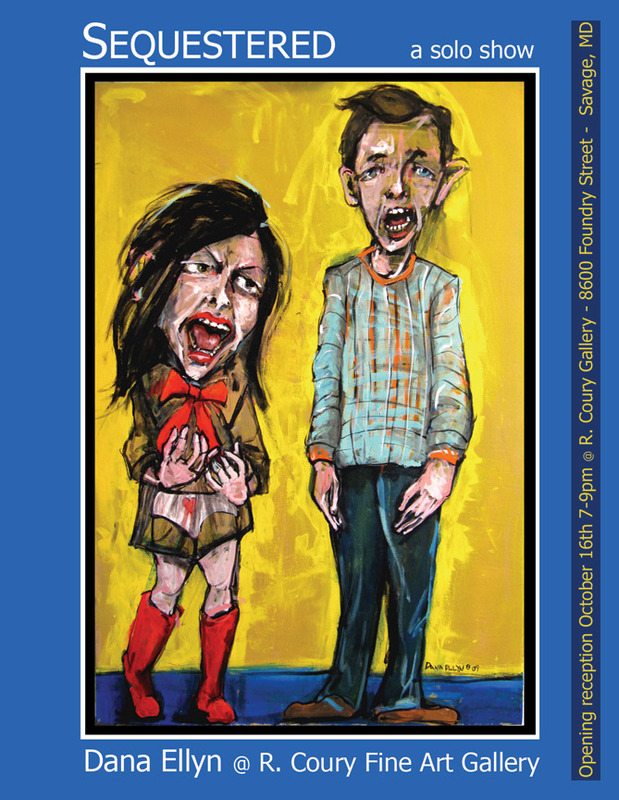 In September of 2009, Dana spent a week "sequestered" in her studio painting non-stop... no visitors, no leaving the studio, no exceptions! During her week of solitude, Ellyn took chances with her artistic style, freed her mind from outside distractions, and reflected on the project's parallels to her own childhood. At times as a child, when she was made anxious by raised voices and routine bickering at home, Ellyn chose to retreat to the solitude and quiet of her bedroom. There, she happily spent hours painting and drawing surrounded by music, books and posters from her favorite movies. Presently, as a full-time artist, Dana Ellyn relishes in her "alone time"... where she can sit quietly to develop painting ideas from her inspiration, listen to the voices from her past, or jump up, scream loudly, and make a brilliant mess.